Wayne Rooney makes his return to Old Trafford as Manchester United host Everton in the Premier League on Sunday. 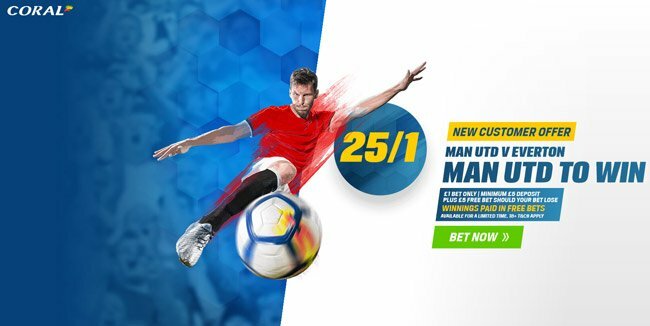 Find here our Man UTD vs Everton betting preview with predictions, betting tips, starting XI, team news, betting odds, bookie offers and no deposit free bets! Manchester UTD are unbeaten in their last five games in all competitions, picking up four wins and enter this clash on the back of a 3-0 Champions League victory over FC Basel. They top the Premier League table after taking 10 points from a possible 12, scoring 12 goals and conceding just twice in the process. Leaving aside the Super Cup defeat to Real Madrid at the beginning of the season, a 2-2 draw against a determined Stoke City is the only mark against the Red Devils this term. The last three direct matches against Everton in all competitions have all ended in a draw. Paul Pogba suffered a hamstring injury in the 3-0 victory of Basel and will be sidelined for the next 4 weeks. A a result, Josè Mourinho may opt for a 4-2-3-1 formation with one of either Ander Herrera or Marouane Fellaini partnering Nemanja Matic at the base of midfield. Romelu Lukaku will retain his starting berth as central forward whil Juan Mata, Marcus Rashford and Henrikh Mhkitaryan will play as offensive midfielders. Anthony Martial and Jesse Lingard are other attacking options. Antonio Valencia, Phil Jones and Eric Bailly will be recalled to the starting XI after they did not feature in Europe, forming the four man backline alongside Daley Blind or Matteo Darmian. Marcos Rojo is still a few months away from being fit, while Zlatan Ibrahimovic isn't expected back until November at the earliest. After a good start of the season, Everton have failed to secure a win in their last five games in all competitions and make the trip to Old Trafford on the back of a three-game losing streak that includes a 3-0 away defeat against Atalanta in Europa League earlier this week. Last weekend, the Toffees suffered another 3-0 defeat at the hands of Tottenham at Goodison Park and looked shaky defensively in their last three games. They have picked up just one win so far this term over Stoke City but managed to earn a draw at Manchester City (1-1) last month. Ronald Koeman could change system for the trip to Old Trafford, following a couple of disappointing performances. The Dutchman may choose to go with a three-man defence, which would probably see Phil Jagielka, Ashley Williams and Michael Keane all start as centre backs, with Cuco Martina and Leighton Baines as wing-backs. Up front, Wayne Rooney and Dominic Calvert-Lewin could combine, with Sandro Ramirez the main alternative. Gylfi Sigurdsson will play as number ten, while Idrissa Gueye and Tom Davies are favourite to start in midfield. James McCarthy is still out, while Seamus Coleman, Ramiro Funes Mori, Ross Barkley and Yannick Bolasie are long-term absentees. Everton (3-4-2-1): Pickford; Keane, Williams, Jagielka; Baines, Davies, Gueye, Martina; Sigurdsson; Rooney, Calvert-Lewin. 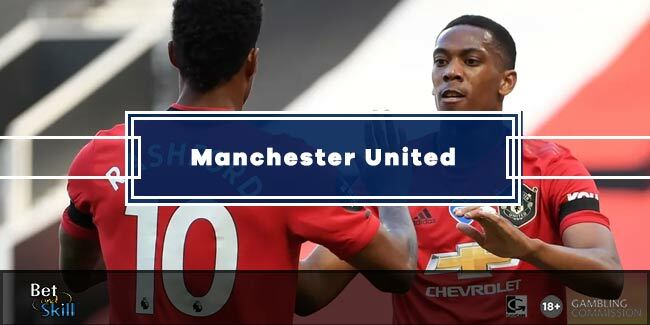 "Manchester UTD vs Everton betting tips, predictions, lineups, odds and free bets (Premier League - 17.9.2017)"